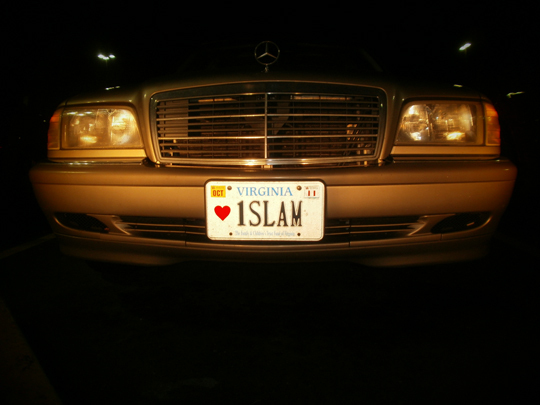 What they say about Virginia plates remains true; they’re completely awesome. I stumbled across this license plate while with some friends downtown last Spring. Tonight was kind of terrible. But then I randomly came across this photo in one of my old albums. Keep your faith strong and you’ll find strength in overcoming each barrier you face. Lesson of the day, eh? You can’t really go wrong there. Anyway, I thought you all might enjoy this. And now I’m making a list in my head of potential license plate letters for when I get my first car (or Vespa, whichever). I just need a break from being busy! There’s no place I’d rather be than home right now. I’m trying hard not to count down the days until winter break so that they’ll go by faster. I’m excited for Samirah’s wedding and Thanksgiving, which are both fast approaching. Now back to the 10,000 assignments I have to do by tomorrow evening. I only wish time was on my side. Will the lion sleep tonight? I highly doubt it. Not in this mighty jungle we call college. Stay strong sis, and remember to breathe! Nothing gives strength to a believer like dua… so increase in it, or just speak from your heart when you're too overwhelmed. Inshallah khair sis, this too shall pass 🙂 I have no doubt that you can overcome this and with flying colors as well. Back in uni days, when this happened to me… my motto was 'Challenge accepted!' lol It totally worked! Patience, Perseverance, and Persistence >> 3 words that got me through anything. Making dua for you!